The government plans to launch farming of Bt cotton in January next year while farmers are expected to plant their first seeds in March. Has the government considered all these issues and, if so, how does it plan to deal with them? The push for the introduction of Bt cotton has intensified in Kenya in the past few months. The GMO proponents are promoting Bt cotton as a crop for fibre and textiles only. 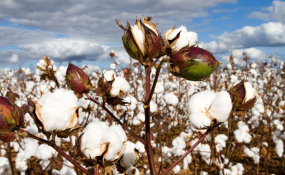 However, as it has been done in other countries, only 40 per cent of the Bt cotton will be for textile production; the larger 60 per cent will be extracted as cottonseed oil, cotton seed cake and straw for animal feeds. From this, we can see a greater percentage of the Bt cotton ending up in the food chain - for human consumption. The supporters argue that tests done on these crops have ascertained their safety on humans and the environment, a claim that is factually erroneous going by the inconclusive scientific findings of studies on GMO safety. Studies in France have shown that, contrary to popular beliefs pushed by the giant multinationals promoting the genetically engineered Bacillus Thuringensis, the Bt does not integrate naturally in the environment but has been found in water and the environment as much as 30 years after use. Bt cotton is being presented as the panacea for the revival of the textile industry. But was poor quality seeds the reason for the collapse of the cotton sector in the 1980s? The answer is a big No. It was mismanagement of the ginneries, leading to farmers not getting paid for their cotton. It was never about the conventional cotton seeds that were in use then. When Burkina Faso introduced Bt cotton in 2008, the cost of seeds was beyond the reach of a small-scale farmer. In practical terms, while the conventional variety is sold for Sh121, the Bt cotton seed equivalent would go for Sh4,500 for the same quantity. In other words, the new cost was a whopping 37 times more expensive! When you lift the veil on the cost breakdown, you discover that the multinationals controlling the Bt cotton seed get 63 percent of its cost. In a country like ours, where more than 70 per cent of farmers' are small-scale, it goes without saying that the cost of the seed will be prohibitively high for them. The Burkinabe also recently abandoned the GM varieties, which have, over the years, resulted in shorter fibres of low quality compared to the conventional cotton. Farmers reportedly got nearly Sh306 million ($3 million) in compensation due to the quality problems in two seasons. In South Africa, the challenges that Bt cotton farmers of the Makhatini Flats have faced are well-documented despite the PR exercise that tries to paint a different picture. Further, it has been proven that pesticide use actually increases in a bid to curb the emergence of secondary pests. I am reliably informed that, in the areas where the National Performance Trials are taking place, a lot of measures are being put in place to ensure the Bt cotton is a success, to the extent of water being drawn from rivers to irrigate the cotton field. If huge amounts of water are needed, will the Bt cotton do well in the dry areas? Are we looking at a case like Galana-Kulalu, where millions of shillings were poured into a sinkhole? Has the government considered all these issues and, if so, how does it plan to deal with them? Once Bt cotton is accepted, the next step will be the introduction of other food crops, such as Bt maize and GM Soya, into the food system. Whichever way you look at it, the main beneficiaries will be the multinationals, who will effectively take over the seed and food industry in Africa. If this happens, will we continue depending on subsidies. Clearly, there are more questions to this issue than answers and we should, therefore, not rush to blindly adopt a technology that we have not fully understood, are not prepared for and one that has clearly failed and been rejected elsewhere. There are better, safer and sustainable solutions to food insecurity and revival of the textile industry. Ms Maina is the national coordinator, Kenya Biodiversity Coalition (KBioC).